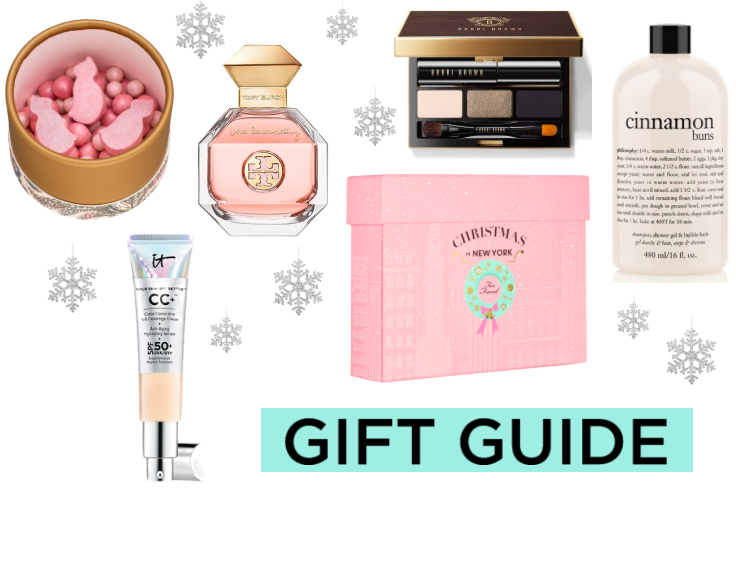 When it comes to gifts for your girlfriends, you can never go wrong with great gifts of beauty. From tiny trinkets to glam gift sets there's always something for all. This brush set from the good for you gurus aka It Cosmetics features some of highest quality brushes around. Thick, dense, pretty and plush these are some of my favorites. These sweet little eye, cheek and lip palettes from Too Faced are absolutely darling and they even feature a bonus mascara to fall in love with. These two cosmetic cases from Ted Baker and Tory Burch are going to make your beauty bestie happier than the spiked egg nog. And, for those times when you just can't decide, there's always a Sephora gift card that'll let her choose what she'd love most. All these picks are shoppable via the thumbnails below. Happy gifting and have a beautiful Wednesday!